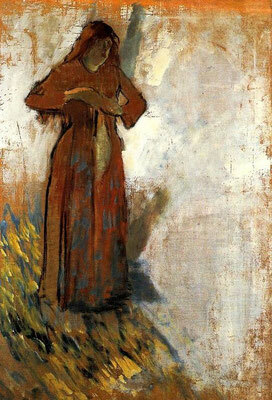 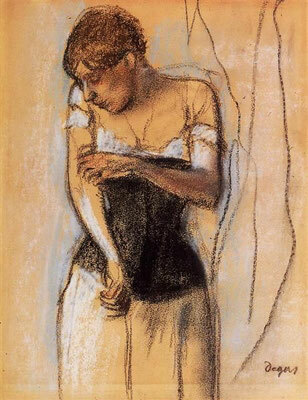 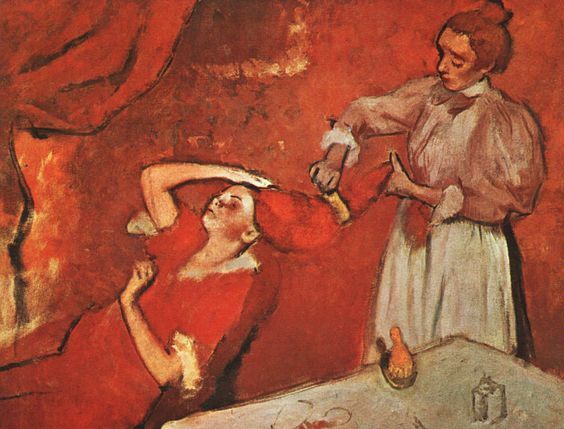 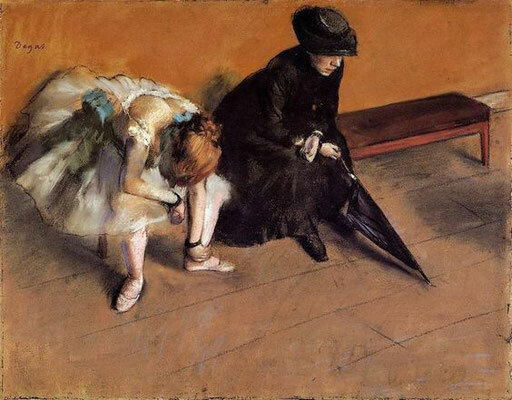 Not even for its autumnal colours, today the work of Edgar Degas (1834-1917). 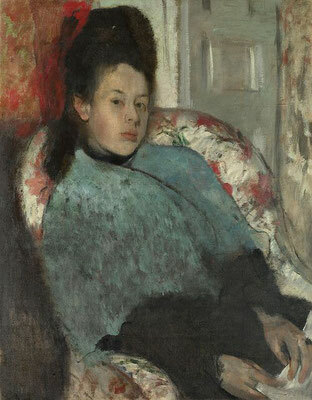 I like the way he painted his women. They are maybe not always beautiful, but certainly intriguing. Take Elena Carafa, above left: she doesn't pose for him so much as is utterly bored. 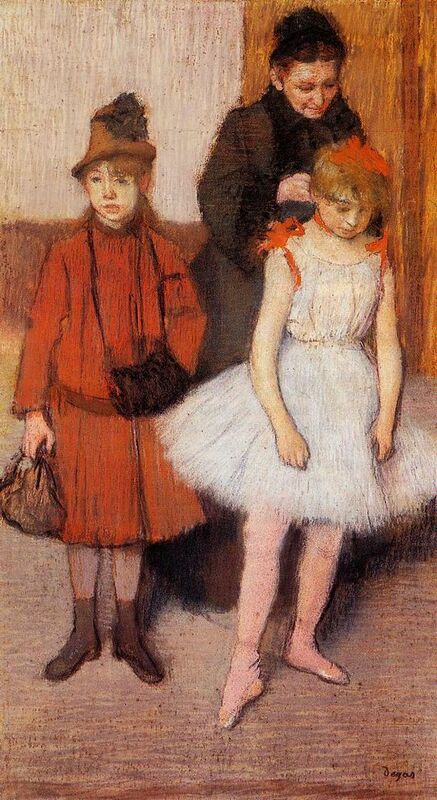 None of the paintings look posed, which attracts me to them.